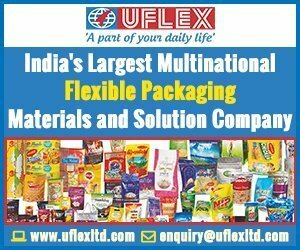 Mumbai-headquartered Huhtamaki PPL (HPPL) (formerly known as Paper Products Limited) is one of the largest manufacturers in volume terms of finished flexible packaging in the larger Africa, India and Asia Pacific region and has been a trailblazer in the India flexible packaging industry. The company has several innovations to its credit and has set numerous industry standards. Continuing with this trend, HPPL recently became India’s first flexible packaging solutions provider to commission an HP Indigo 20000 digital press, which is meant for flexible packaging and labelling applications. 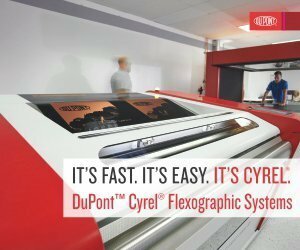 With the commissioning of this press in January this year, HPPL now offers digital technology to its customers in addition to gravure, flexo and offset technologies. The new Indigo 20000, which is also the first one in India, is currently being deployed to service Coca-Cola’s ‘Share a Coke’ campaign. The formal unveiling of the press for media was done on 23 April during an open house organized by HP in association with HPPL at HPPL’s Thane plant. Present during the function were top management of HPPL and officials from HP Indigo division. 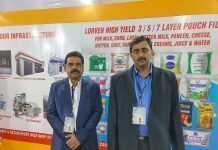 “We have been first in adopting almost all the technologies in packaging and labels. We brought shrink sleeves to India in 1992 and everyone thought we were mad. But we succeeded. Like that there is a history of maybe 50 products that we have pioneered and each one of the product was a risk. Life is a risk,” said Suresh Gupta, chairman, HPPL when asked if the company has taken some sort of a risk in opting for its first digital press for a market like India. 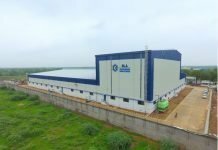 HPPL’s Thane plant is the oldest of its 15 plants and is equipped with state-of-the-art tools and machinery; from design to printing to laminating to slitting. The plant houses two gravure printing presses, one 9-color press from Cerutti and one 8-color press from SAM and a flexo press from Aquaflex. There are two laminators from Nordmeccanica and three slitters from Atlas. There is a hot melt machine for soap wrappers as well. According to Chhajed, Thane was always the first choice for the location of the Indigo 20000 given the fact that the senior team sits there, and the plant already was very well equipped in terms of infrastructure. However, he said that in future other locations may be considered for housing digital presses. “Our plunge into digital is with a much bigger commitment. So yes, going forward we can obviously consider other locations,” Chhajed said. Since HPPL has been a trendsetter and sort of a trailblazer, the fact that it has opted for a digital technology by installing an Indigo 20000 will definitely have an impact on the Indian packaging industry that is already changing. “In terms of awareness and what can be done, this development is amazing. 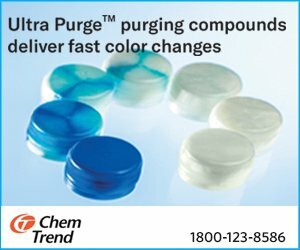 Do I expect 20 Indigo 20000 presses in India in next three months? Definitely not. But yes, this development is not trivial,” said Bar-Shany. Although, Coca-Cola’s ‘Share a Coke’ campaign has been running globally since 2011, it was recently bought to India. In keeping with the campaign’s principal idea ‘Har Rishta Bola, Mere Naam Ki Coca-Cola,’ Coke cans and bottles are now available with special relationships printed on them, including Bae, Bro, Dude, BFF, Dad, Mom, Daughter, etc. Each of these relationships comes with a descriptor. The scale of the project that HPPL must deal with can be gauged from the fact that in all, the campaign is being run in 12 different languages, 32 relationships and five descriptors. There are almost 3000 different artworks and many different SKUs. “Credit goes to HPPL since meeting the demand of Coca-Cola is not easy. In fact, in other countries Coca-Cola split the work among different companies,” said Bar-Shany. In India, HPPL is the only company executing the ‘Share a Coke’ campaign for Coca-Cola. 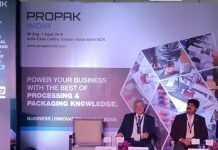 Just like the global market, the packaging market in India too is undergoing a rapid change driven by evolving consumer needs. The product life cycle is shrinking, and consumers want greater personalization. On top of that India is a market with stark diversities. There are brands who want tens of different designs in very small quantities in a few hours. All of this points to the fact that digital technology will play a bigger role not only at HPPL but also in the wider Indian packaging industry. “All technologies have their place but when there is a new technology growing in a certain space, previous technology retards,” Gupta said. However, he said that older technologies will never completely vanish as they have their own utility. “Even Indigo will not stay the same as customers like us will push it to improve further,” Gupta stated.